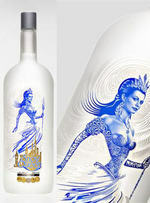 Snow Queen Vodka is a vodka from Kazakhstan produced from organic wheat and artisan spring water from the foothills of the Himalayas. Kazakh birch charcoal is used in its five-time distillation process. As of 2007, Snow Queen Vodka has been awarded 10 gold, 7 silver and 8 bronze medals for excellence at major international exhibitions of the CIS (Almaty, Mosco, St. Petersburg) and in Europe (London, Vienna, Dusseldorf. It was cited by to-the-trade publication Imbibe Magazine as the Best Overall Vodka in April 2007, and was called "Supersmooth" in the May 2007 issue of Food & Wine Magazine.
" 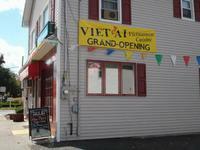 Delicious Vietnamese specials made fresh daily" is Viet Ai's slogan. They deliver on this very well. It is a simple unassuming place on Ridgedale Ave. in Florham Park. Clean, busy, very good food. 88 Cafe is a pleasant Chinese restaurant in Livingston, NJ. Located in an old Friendly's building with the signature cupola, on approach you are greated by statues of Chinese warriors, but don't be afraid. Once inside you will find a smartly designed and comfortable dining room with a friendly and well trained wait staff. 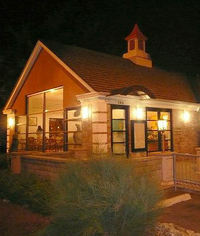 We have dine at and taken out from 88 Cafe many times and have always enjoyed their food and service. Wine Bars Grow Up and Squeeze In. It is a great article. Spring nights in The City wine bar hopping, there's nothing better. "It was a Wednesday night around 7:30 and Casellula, a small, boxy wine bar in Clinton, was filling up. Patrons packed the seats at the small polished wood bar and the inexpensive wood tables, trading sips of wine, sharing beautifully composed cheese selections and passing plates back and forth." I was at Frog and Peach in New Brunswick, NJ today for the presentation of the EdibleJersey Local Heros awards. While there i disovered a new wine, a new grape, that is very worthy. This always makes me happy. 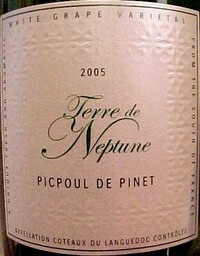 The wine is 2006 Terre de Neptune Picpoul. A perfect wine for summer or all year round. It is a rather rare wine, produced only in the province of Languedoc. In Montclair, we help our kids celebrate their High School commencement with a an all-night, alcohol and drug free celebration called Project Graduation. What does this have to do with food and wine, you ask. Well to fund this event many generous families hold fund raising dinners or parties to support Project Graduation. We attended one of these events, a fabulous wine and cheese tasting hosted by Adrianne & Neil Schmidt, Anita & Jack Kassel, and Aggie & Jeff Kushner. The tasting featured wine enthusiast, educator and entertainer Carol Berman, The Traveling Sommelier. And cheese maven, meister and monger Micheal Trullinger. Another selection on our 2008 Summer wine list. This was recommended by one of the staff at Shopper's Vineyard. Tonight, we are having pasta with a light sauce and grilled chicken, should be a perfect pairing. I love Chicago in the Spring, Summer and Fall. There are so many great restaurants. And the city life is spectacular. I recently discovered this company in Chicago that you may like to contact. 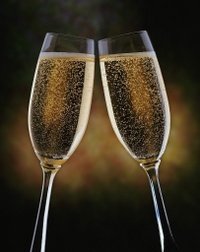 If you are interested in hosting a wine tasting in Chicago Vino di Savino are the people to call. Vino di Savino, Through private wine tasting parties and events, it is their mission to educate others about wines from around the world, and to make the process fun, unintimidating and easy, all within a relaxed and comfortable setting.